The project will comprise a 2,506.2km-long pipeline covering eight Russian Federation constituents, namely the Nizhny Novgorod, the Republic of Mordovia, the Penza, Saratov, Volgograd, Voronezh and Rost, and the Krasnodar Krai. Ten compression stations with a gross capacity of 1,516MW and an annual throughput of 63 billion cubic metres will be constructed along the route. The landmark project will be executed in two phases that are scheduled for completion in 2017. The Southern Corridor gas pipeline will be completed in two phases. Phase one, covering the Western route, will involve the construction of an 823.6km section connecting the Pisarevka compressor station in Voronzeh and the Russkaya compressor station in Krasnodar Krai, in addition to four compressor stations to be located in Shakhtinskaya, Korenovskaya, Kazachya and Russkaya. "Ten compression stations with a gross capacity of 1,516MW and an annual throughput of 63 billion cubic metres will be constructed along the route." Linking the Kubanskaya compressor station to the Korenovskaya compressor station, a 57km-long interconnector will also be constructed. 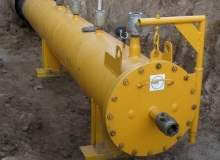 Approximately 200km of the existing pipeline between Petrovsk and Pisarevka has been modified by overhauling the Yekaterinovka compressor station, a gas branch, a connection point and interconnectors as part of phase one. Phase two, which covers the eastern route, involves the construction of a 1,625.6km-long pipeline and six compressor stations with a combined capacity of 942MW. 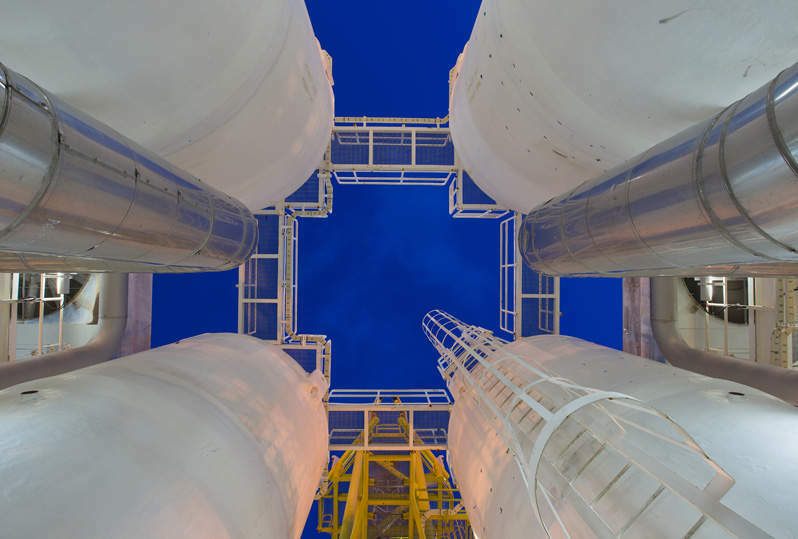 The eastern route pipeline will connect the Pochinki compressor station in the Nizhny Novgorod region to the Russkaya compressor station in the Pochinki – Izobilnoye – Severo-Stavropolskoye underground gas storage corridor. Certain sections of the pipeline will be built of unique 813mm pipes with a 39mm-thick wall that will be made of K65 steel to operate under high pressures of 28.45MPa. The compressor stations will be located in Pisarevka (Voronezh Region), Pochinki (Nizhny Novgorod Region), Shakhtinskaya (Rostov Region), Salskaya (Rostov Region), Korenovskaya (Krasnodar Territory), Kazachya (Krasnodar Territory), Russkaya (Krasnodar Territory), Kubanskaya (Krasnodar Territory), Petrovsk (Saratov Region), Mokshanskaya (Penza Region), Zhirnovskaya (Volgograd Region ) and Volgogradskaya (Volgograd Region). Vladivostok LNG project is a liquefied natural gas (LNG) plant proposed to be set up by Gazprom near Vladivostok. 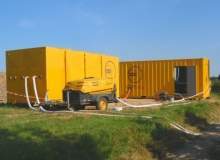 Construction is underway to build the required gas compression facilities. The Russkaya compressor station will be the world’s most powerful compressor station with installed capacity of 448MW. It will be the terminating point of the Southern Corridor and is being installed with essential process equipment. Natural gas will be treated at the 200MW Kazachya compressor station prior to shipping to Europe, making it a strategically important station. Comprising eight compressor units, the Kazachya compressor station will supply gas to the Russkaya compressor station at a pressure of 11.8MPa. 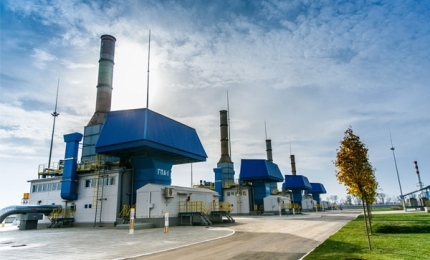 The Bubnovskaya compressor station was upgraded and commissioned in December 2014 in Volgograd as part of the Petrovsk – Pisarevka section. Gazprom affiliate Giprospetsgaz is the general designer for the project. SGM Group has been selected to work on the Russkaya compressor station and other sections of the Southern Corridor gas pipeline system.